Injuries are common in our life. How pathetic it could be if your face, nose and mouth get deformed due to an accident. You can be brought to your normal appearance, only by surgery. 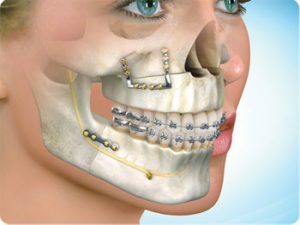 Maxillo facial surgery is the surgical treatment used to correct jaw and facial deformities. This surgery is performed by experienced maxillo facial surgeons, who are specialized in oral, maxillo facial surgery and cosmetic surgery. The uniqueness of oral and maxillo facial surgeons is their ability to maintain aesthetic. A complete solution for all your dental and facial deformities can be provided by JP Dentofacial & Implantology center, which is one of the best Maxillo facial clinic in Kerala. Reconstructing face, cheeks, nose, eye sockets, foreheads and associated structures. Maxillo facial surgeons are trained in performing surgeries like pre-prosthetic surgeries, orthognathic surgery, bone grafting surgeries, dentoalveolar surgeries, rhinoplasty, augmentation of chin etc. In addition they are also capable of correcting congenital and acquired defects. JP Dentofacial & Implantology center is one of the best dental clinic in Kerala, which provides the services of best maxillo facial surgeons in Thrissur. The clinic contains state-of-art infrastructure and uses sophisticated equipment’s for its treatment.